2ТМ > Business and Economy > What Can We Buy for 100,000 Euros? What Can We Buy for 100,000 Euros? 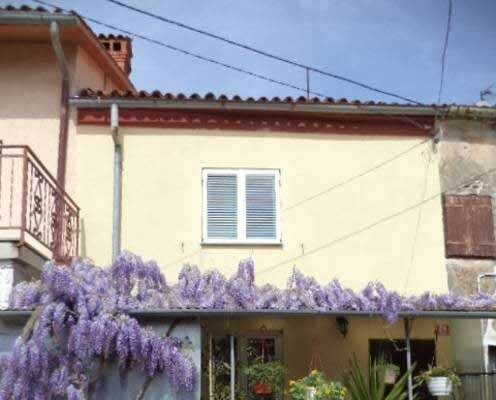 “For 100,000 euros we can buy a three-room apartment in Koper, a two-room apartment in Isola, or a one-room apartment in Lucija and Portoroz on the secondary market. The same price is for a stone house with ​​terraces with an area of 80 to 120 sq. 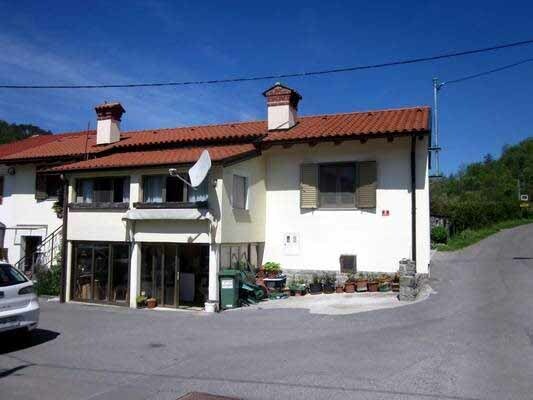 m, which is in need of repair and is 10 km far from the sea, as well as for a large detached house with an area of 100 sq. m on a 300–500 sq. m lot. For the same amount you can buy a construction site with an area of ​​800 to 1,200 sq. m in remote districts of Ankaran, Koper, and Škofja, near Gradishcha,” lists Branko Lonchar, a representative of the Obale Nepremičnine Portorož real estate agency. The real estate market on the coast is very active. We have a good sales tendency despite the fact that there are almost no new-build settlements. The one- or two-room houses for family living and the two-family houses are built primarily by private individuals for their own use. The most commonly sold properties are within the price range of 100 to 200 thousand euros. The prices for flats and apartments have dropped in average by a third; and for houses – almost by a half. “The market expects further decline. However, there will be no more abrupt collapse of prices. It should be stressed that now is the most suitable time for buying a real estate property,” Branko Lonchar says. For 100,000 euros you can buy a new apartment in an apartment block in Sežana with an area of 70 sq. m; an old house that still needs to be repaired or renovated; a construction site of ​​about 2,000 sq. m in area. The prices for construction sites range from 40 to 60 euros per square meter as noted by Sergei Chebulec from the Sežana Kras Nepremičnine estate agency. The real estate market in the Kras region is blooming. Not so many objects are being built now. It is best to sell small-sized apartments (less than 60 sq. m) for 60–80 thousand euros and a bit larger new apartments for 100 to 110 thousand euros. “The prices are at the same level for quite a long period of time. 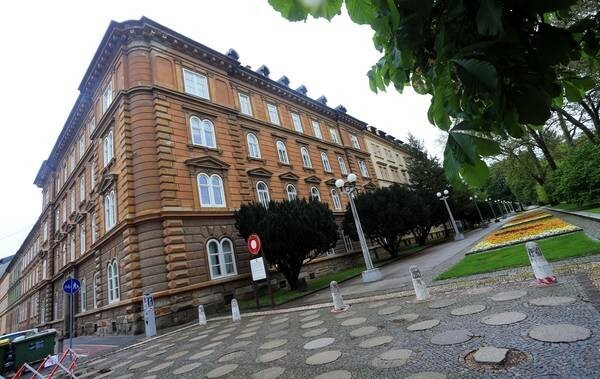 However, sellers initially put 10% higher prices and then reduce them,” a Sežana real estate agent says. An extreme development of the market is also caused by the proximity of Trieste. The residents of Trieste opt for Kras due to its better prices, larger area and, of course, thanks to the beauty of the nature and the pure environment. The trade has also quickened because of a persuasion that bank savings are not justified under lower penalties. According to Repshe, this concerns primarily the real estate worth up to 100,000 euros, wherein the investments are maintained by banks at the expense of loans with favourable interest rates. Less active market is for the real estate properties worth 200,000 euros and above. Foreigners purchase housing far seldom. “Such leaders of the past as the British, the Dutch or the Irish are leaving the market now. They used to purchase a lot, but only a few of them invest in the repair of housing,” Franz Repshe notes. “The market is again gripped with optimism,” Borut Kordezh from the Makler Bled Company states. This is manifested in the fact that the time from observing tomaking a deal passes quickly and without doubts, which previously pursued customers due to the economic crisis and uncertainty of the recent years. This year, the dynamics of the market has already exceeded the annual average indicators per the last few years. The prices, which have ricently fallen by one-fifth, are now fixed again,” Borut Kordezh says. The real estate properties built in recent years are primarily sold, but nevertheless, the number of the currently built properties is very low. Borut Kordezh also notes that after several years of stagnation, the sales dynamics for construction sites has increased. 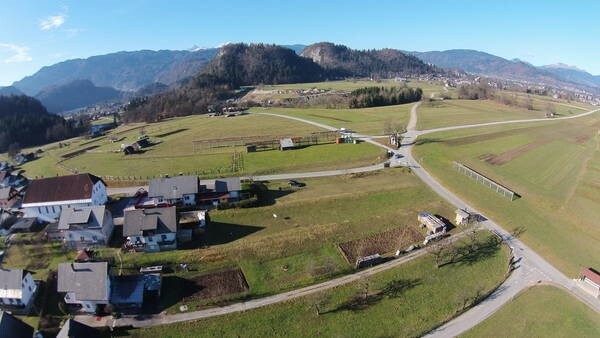 For 100,000 euros, it is possible to buy a one-room apartment in Bled or an old farmhouse, which, with the development of local tourism, you could rebuild into a guest apartment. 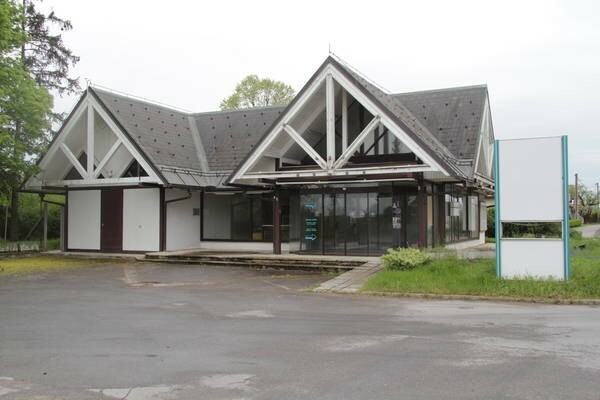 Bohinj has not so many offers, but for the same amount, you can buy a three-room apartment in Bohinjska Bistrica or a resort accommodation with the area of 40 sq. m in Stara Fužina. In Radovljica and Lesce the same as in Kranjska Gora, for the same amount you can buy a small three-room apartment. “An average one-room apartment, which is for sale in Ljubljana for around 100,000 euros, has an area of ​​about 50 sq. m,” Vesna Levstek from the Nepremičnine Plus Agency explains. The same price range is also applicable for a bit larger apartment, perhaps for a two-room flat with an area of ​​about 60 sq. m. However, it has a certain disadvantage: it is located on the top floor of a walk-up house or in a district with a small parking area. Besides, the market can offer better variants of flats with an area of ​​more than 70 sq. m. However, they are usually a studio or an apartment in a house on the outskirts of Ljubljana, without sewerage, without ruler, or in an apartment block owned on a timeshare bases. On the other hand, the price threshold of 100,000 euros has been already exceed by studios in new apartment blocks with a mandatory area for parking, and not necessarily in the centre of Ljubljana (Poljana, Brod, and Podutik). They are sold faster than the larger and older apartments. Vesna Levstek notes the increasingly strong differentiation in prices, while buyers are more interested in the year of construction, location, and the floor. “In the Hoche municipality, the amount of 100,000 euros is a price for a business or dwelling house with an area of 600 sq. 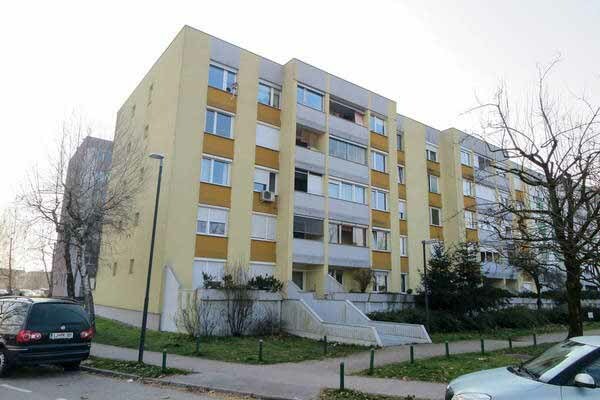 m in need of repairs, in the very heart of Maribor, or a three – four-room apartment,” Xenia Brence from the Dodoma real estate agency enumerates. “We are talking about the old but neat and cosy apartments. Currently, there are no new builds in the region. The construction works are not yet conducted. As compared to the pre-crisis times, the prices have fallen by one-fifth and would probably remain at the same level. Only the GDP fluctuations could influence on the minimum price swings,” the interlocutor emphasizes. Xenia Brence, relying on her experience, believes that it is easy to sell real estate properties, primarily apartments, if they feature a good location, renovation or an orderly state. It is harder to sell an apartment on the third–fourth floor of a walk-up building, but the price will be lower, respectively. Would you like to purchase a “duty free”? “100,000 euros is a very good price,” says Peter Varga from the Dom M5 Agency in Murska Sobota. For that amount you can buy a very, very nice dwelling house in the suburbs of Murska Sobota.” Besides, it is already possible to buy a house within the city itself, but on a secondary market. For almost 100,000 euros, you can also buy a brand new luxury apartment in Radenci. 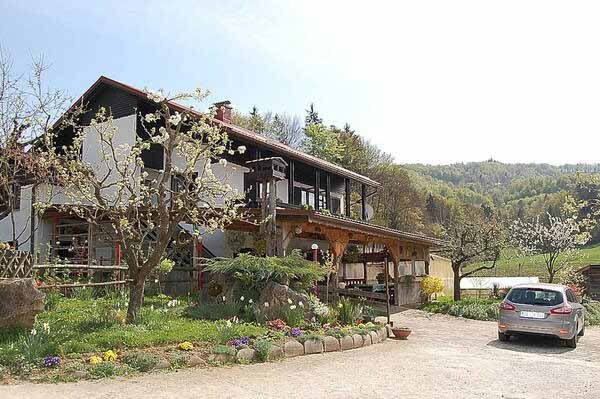 In Kuštanovci in Gorica, you can even buy a farm with an area of 1.4 hectares and almost a thirty years old dwelling house with outbuildings. In the Dolga settlement, a duty free department of the Kompas Company is for sale near the border crossing. The building area is 173 sq. m. It is located on a land plot of 0.31 hectares. New apartments are not for sale in the region, with the exception of the variant in Radenci. The secondary real estate prices remain the lowest across Slovenia, even in spite of a slight revival of the market. 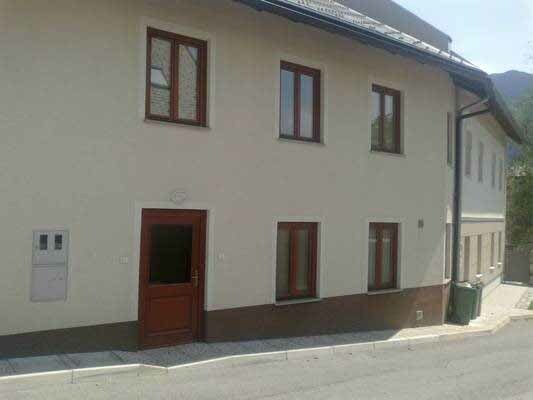 In Murska Sobota, the average cost per square meter of a second-hand one-room apartment is about 900 euros, and in Lendava, you can buy a similar apartment already for 500 euros per square meter.